Notice the balcony or sit-out on the first level. It is supported by wooden rafters and cast angle brackets. 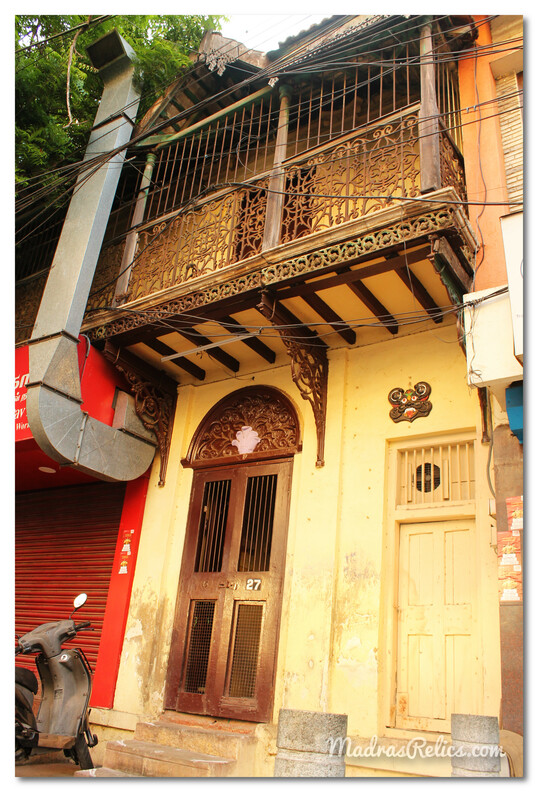 Also see the cast motifs on the railings, engraved woodwork on the floor of the Balcony, and slender Burma teak columns.